Members of the EU-Russia Civil Society Forum from ten European countries signed a statement in support of Bulgarian civil society organizations, engaged in the struggle for rule of law and defending the environmental, democratic, social justice and human rights norms of the European Union. The statement was signed on May 16, 2018 during the Forum's 8th General Assembly in Sofia and announced at the concert entitled "Let's Save Pirin". The members shared the increasing concerns of Bulgarian civil society organisations standing up for environmental, human and social rights, and defending democracy and the rule of law with the ongoing pressure by connected political and business interests against critical civil society voices in Bulgaria and demanded the urgent attention and decisive actions of Bulgaria’s authorities and the institutions of the EU. The document points out the possibilities for future development within the Pirin National Park and actions of Bulgarian authorities, including Council of Ministry’s decision from 28.12.2017 for amendment of the Management plan of park. Forum Members demand for decision № 821 of the Bulgarian Government to be withdrawn and the real owner(s) of the company Yulen AD, which owns the concession of National Park Pirin, to be announced as a first step to an international audit of the concession. "We consider the wording and style of this European government’s decision an unacceptable act of violation of the Bulgarian and European legislation. In light of the above we are very concerned that European Commission still shows a little recognition or support to the efforts of Bulgarian society and even the Environment Commissioner Karmenu Vella concludes that there are no violations on the Pirin case to date", says the document. The signatories stand against the hostile response and orchestrated media pressure against critical civil society voices and note that the same tactics of pressure and ostracism were applied against civil society voices in fields like defence of human, gender and women rights which led to thewithdrawal of Bulgaria’s government’s support from ratification of the Council of Europe’s Convention on preventing and combating violence against women and domestic violence. "Other progressive policies and achievements of Bulgaria’s EU membership have been challenged, such as the rights of citizens to appeal on environmental investment decisions that affect their livelihoods." The statements call upon the institutions of the European Union and the governments of EU member states to engage much more actively in promoting and safeguarding its own norms related to democratic, environmental, social justice and rule or law. 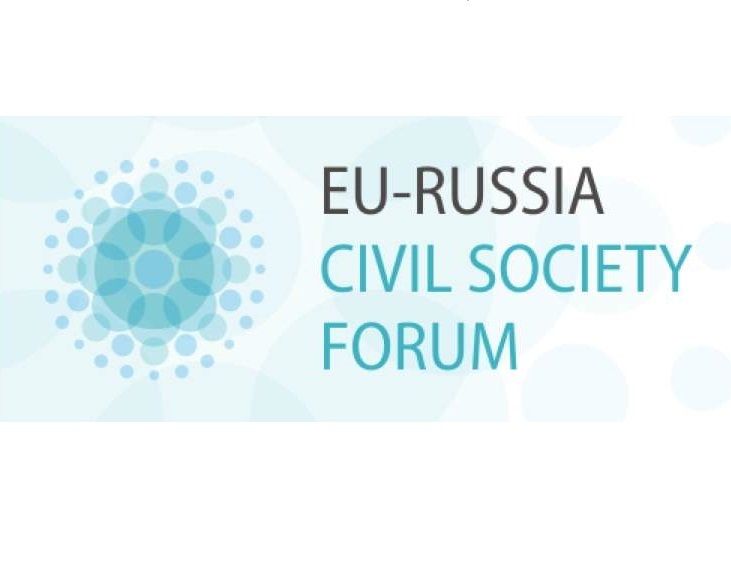 The EU-Russia Civil Society Forum was established in 2011 by non-governmental organisations as a permanent common platform. At present, over 140 NGOs from Russia and the European Union are members or supporters of the Forum. It aims to foster cooperation among civil society organisations from Russia and the EU and enhance participation of NGOs in the EU-Russia dialogue. The Forum has been actively involved, inter alia, in the questions of facilitating the visa regime, the development of civic participation, protection of the environment and human rights, understanding history, and civic education. BlueLink has been a member since 2015.